There are two known strains of flu which can affect your dog: H3N8 and H3N2, according to PetMD.com. The canine flu, first being recognized in 2004 at a greyhound race track in Florida as the H3N8 strain, was also identified in Asia in 2006. While there is no confirmation as to how the H3N2 virus made its way to the United States, some experts believe it came from dogs that were imported and rescued from Asia, with the introduction noticed in Chicago, when several dogs boarded at a facility becoming ill, making it the worst outbreak in more than 35 years. From there on, the virus has continued to spread, and to this day, it has stretched itself across the entire country. The cost of the canine influenza vaccine, according to some of the vet offices we talked to across the United States, would cost anywhere from $20 to $55 for just the vaccines(for both strains), and depending on the vet office policy, you may be charged an additional vet office fee, about $35 to $65, on top of this, bringing the grand total to $55 to $120 if you were to bring your dog to the vet. According to the list of vaccinations on the petcarerx.com list, the average cost of just the vaccine is about $20 to $30. The North Shore Animal Hospital, an animal hospital located in Tennesse, stated it would $45 for the initial vaccine and another $45 for the booster, bringing the grand total to $90. This New York Times article noted that each injection, with two being required, most likely being $25 to $35 per injection. Should dog owners worry about the flu? 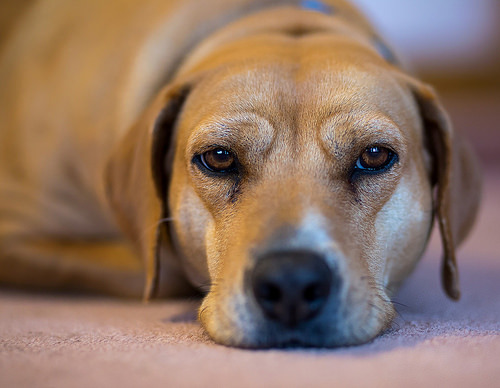 According to veterinarians, the canine influenza can be transmitted from dog to dog via respiratory secretions such as sneezing, coughing or barking, to name a few. As this virus can survive on the surface for up to 48 hours, a dog, if exposed, can pick it up from various locations such as a dog boarding kennel, food/water bowls, toys, collars, leashes or anything else that a dog can touch. As for clothing, the flu can live for up to 24 hours, while it can live on the human hands for up to 12 hours. All dogs, no matter the breed and age, can be exposed to the virus, but for the most part, dogs in confined areas, such as a boarding facility or shelter, are considered to be higher at risk. Should your dog get the vaccine? The question greatly depends on your dog’s situation. As Dr. Becker at Mercola.com says, you will want to assess your dog’s current situation as the virus is closely associated with shelters, kennels, and dog racing facilities, with families in a natural setting, will unlikely contract CIV. Even if your dog were to contract the virus as a “family” dog, there’s a good chance your dog will recover as long as he or she has a healthy immune system. In the end, just keep in mind that the vaccine will not protect your dog from the virus; rather, it may just lessen the severity of the symptoms and its duration. Generally, a dog exposed to the flu will start to show symptoms about 48 to 72 hours after they contracted the virus. Common symptoms, according to the University of Florida, include various coughs, such as a soft, moist and/or hacking sound, for about 12 to 24 hours, followed by a discharge coming from both the nose and/or eyes. Additional symptoms can include a decrease in exercise, appetite and/or showing signs of a fever. Often, puppies and older dogs with weaker immune systems will show severe symptoms in comparison to a healthy dog. As these signs can be closely related to multiple respiratory infections, a veterinarian will want to run a series of test to affirm the findings. If a cough continues for more than 21 days, then quarantine will be considered for an infected dog. Other treatment recommendations may include maintaining hydration levels, anti-inflammatory medicines to reduce the dog’s fever and/or antibiotics for any known bacterial findings based on the test results. If you need to bring your dog to a boarding facility, then you will want to make sure you know the cleaning regiment, schedule and how the staff is trained to prevent any cross-contamination. Also, when choosing any dog boarding facility, always make sure all of the dogs inside are fully vaccinated before being accepted. Most of the time, veterinarians will not keep the vaccine in stock. If you want the vaccine, be sure to check with your veterinarian ahead of time so he or she can order it. Remember, the vaccine will not prevent the flu; it will only help control the spreading of the disease, reduce the severity and the duration of the illness. As with any medical concern, always talk with your vet to know the benefits, risks and if he or she recommends it.